Here we have another example of what a coat of paint can do to a vehicle’s appearance. 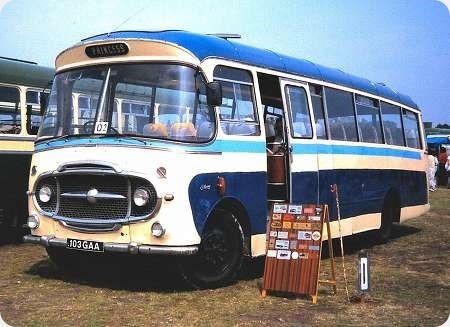 In the first view, 103 GAA is in the Southsea rally on 10 June 1990, in the livery of Fishwick, Darlington. 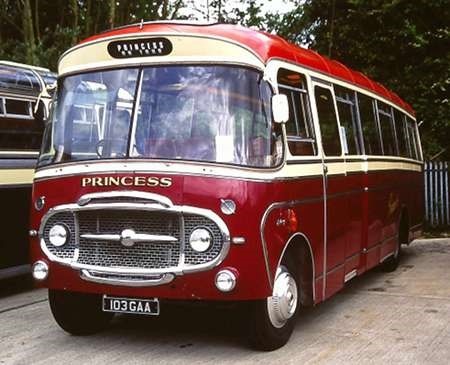 She is a Bedford SB5 with Plaxton C41F body from 1963. The second view shows her, back in her original markings (Princess Coaches of West End, Southampton) and she is in Winchester for the King Alfred running day on 27 April 2003. No doubt about it, the lower image is much better. Yes, even before we get down to the wheel trims! Thanks, David. Sadly 103 GAA is not in that condition now, it passed from preservation with Brian Guilmant of Southampton in 2004 to Collins of Dartford who left it neglected in a yard at Flexford until recently bought back by Ian Barfoot a descendant of the original owner who I understand plans to restore the coach. Thanks, John. Flexford is, I believe, the compound used by the King Alfred preservation group, between Sourhampton and Romsey – unless there’s another one hiding in some obscure part of the map! Ian lives, or used to live, in the Bitterne area of Southampton. His mother asked me to provide a shelter at the family’s local bus stop. Two more long term residents at Flexford. HDL 285 a 1952 ex Southern Vectis Bristol LL5G ECW B39R is another bus that has been in the Flexford yard for a number of years with nothing being done to it other than the occasional new tarpaulin, PSVC list owner as Porter, Chandlers Ford. 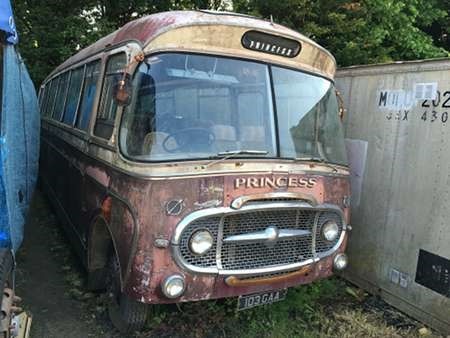 Crazy that someone should buy a bus, pay rent to store it, & leave it to rot. My picture shows it next to 103 GAA in January 2011, but I have seen a more recent picture of it still there in June this year. 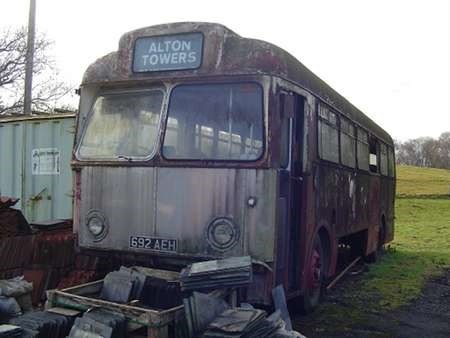 Also still languishing in the yard is very derelict 692 AEH an AEC Reliance Weymann B44F new to Potteries 1957 also seen in Jan 2011. Owner is listed as Paynton of Totten. There was an attempt to rescue this a few years back by someone in the Potteries area, apparently it came to nothing. Indeed, John. All we need to do is look at the various preservation sites up and down the country – railway centres as well as bus centres – and note how many of them are able to keep all the items under cover. The percentage is quite small. 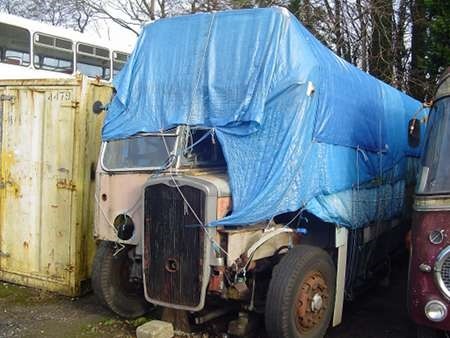 Until that cover – I don’t mean a tarpaulin! – is in place, the exhibit just rots. Yes, it may be a wonderful opportunity for the preservation group to acquire the only example of its type ever produced – but shouldn’t the covered accommodation be there prior to its arrival on site, rather than being the subject of an appeal? If the money is raised, what is the guarantee the local authority will allow planning permission for the new building?